There are obvious signs that you’re not getting enough water… like having a dry mouth. There are also 5 less obvious signs that can mean that you’re more chronically dehydrated and hurting your health without realizing it. That said, how much is enough? The generally accepted rule has been pretty consistently reported to be 8 glasses of 8 oz each. That’s 64 oz of water per day. There are obvious exceptions to that general rule, of course. If you’re doing sweat-inducing exercise, you will want to up that intake. If you’re a small person, you need less water than a larger person. If you’re on a strict diet, you’re clearly going to take in less fluid in the form of food than someone who is eating regularly. About 25% of your daily fluid intake comes from food, so unless you’re on a diet that restricts you to just celery, for example, you will need to increase your water intake. Before getting into the signs of dehydration, though, it’s really important to make sure you don’t have some symptoms possibly indicating a medical condition. If you’re constantly thirsty, for example, get a checkup with your doctor for diabetes. Also, you may want to see your eye doctor if you have dry eyes with none of the other symptoms. Joint Pain: Interestingly, this symptom is often overlooked. It is clearly worth noting because according to the NIH our cartilage is made up of around 80% water. Frequent Headaches: That heavy-headed, achy, tired-brain feeling can often times be alleviated with a glass of fresh, clean water. Our brain, just like the rest of our body, relies on water to function properly. Hunger Pangs: Feeling hungry can also be the body’s way of saying that it needs more water.The other side of this coin is that when you drink water first, before you eat, it can significantly cut your appetite and help with weight loss. Constipation: Constipation is so uncomfortable, it’s common to reach for laxatives and stool softeners to alleviate the symptoms. A better approach is to reach for a glass of water instead. When we’re not getting enough water our intestinal stools get hard and difficult to pass. Keep your gut well lubricated with plenty of water. 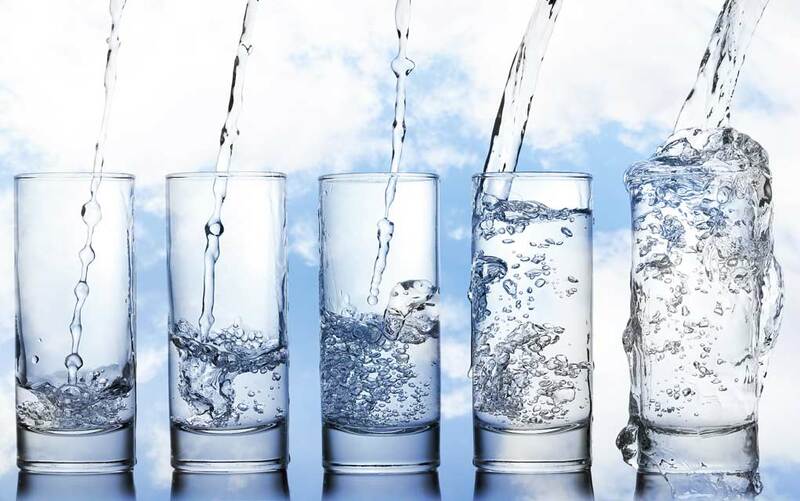 Premature Aging: Water is truly the elixir of life! Unfortunately, as we age we simply don’t retain water like we used to. We need to replenish water more often, yet more times than not, we do exactly the opposite. We’re less active, so we tend to forget to simply drink water unless we’re thirsty. Dry skin, dry hair and dry eyes are very aging… Do your youthful self a favor and drink a glass of water before and in between meals. Conclusion: There are many, many reasons to drink more water than you probably do. You don’t have to go crazy, nor should you drink water constantly. Drink somewhere between 1/2 oz and and 1 oz of water per pound of your body weight daily and you should be fine. If you do that or are already doing that and you still experience some of the symptoms above, go see your doctor. This is your life, your health, your body.